Method 1: Content is paginated by a selectable “words per page” count. Method 2: Content is paginated by manual breaks, inserted by the content creator. Method 3: Content is paginated by manual breaks, based on <h3> tags. Method 1 allows for quick and easy pagination, and is ideal for users who are looking to have their longer content split into multiple pages with the least amount of hassle. Just select the “words per page” threshold for a particular content type, and all existing and future nodes of that type will be automatically paginated accordingly. Methods 2 and 3 allow for fine-tuned control over pagination breaks, useful for content creators who need to set specific break points in their content. Method 2 paginates content based on the presence of break tags ([pagebreak] or [ header = SOME TITLE ]), whereas Method 3 paginates based on <h3> elements. note: To use Method 3 pagination, make sure <h3> tags are allowed under your Input Filters. Clean Pagination is a very simple module that allows you to enable clean URL pagination for specified pages. The way Drupal typically works, if you had a view with the URL ‘my-view’, subsequent pages would normally use a query to pass the page number, as in ‘my-view?page=2’. When Clean Pagination is being used for a page, it will create a url like ‘my-view/2’. Currently, the module has just two settings: 1) Set the pages where you want clean pagination enabled, and 2) Enable search-engine-friendly pagination hyperlinks. The search-engine-friendly pagination hyperlinks is an experimental feature you can optionally turn on that will add the page URL to pagination links, and then remove them via jQuery. To a user, it will look like a single number, but to a screen readers and search engines it will have the url in the hyperlink text, which is usually a good thing. Pagination is a commonly used UI concept anytime you plan to display lots of content to your audience. We’re all pretty familiar with doing this through Views UI, but I ran across a quirk in the Drupal API when trying to create a pager for a custom query. 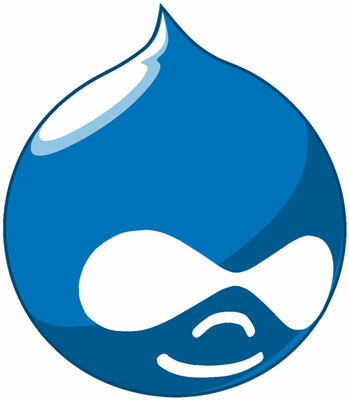 I was really upset and irritated after searching a lot about having pagination in drupal. I was not getting any thing, but when I found the solution, I have cried, it was so simple and easy and the best. It can’t be any better than what it is.. really.. So here is how we can integrate / have pagination in drupal for any of our custom query. I’m new to Drupal..This is really nice article..good explanation and easy to understand..thanks for haring..I’m expecting more from you..when will you post the new article?